The selection of the urn is very important since it provides a dignified receptacle for the cremated remains. The urn can become the focal point at a memorial service and can serve as a permanent memorial to the deceased. The type of urn selected depends on what you wish to do with the cremated remains after the cremation. Urns are available for scattering, for interment in a cemetery plot or niche, or for home display. 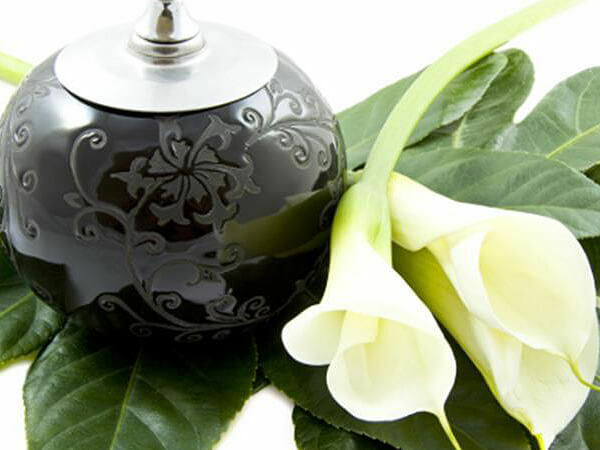 Keepsake urns are smaller versions of full size urns and are manufactured to hold a small portion of cremated remains, a lock of hair or ceremonial flowers. Keepsake urns allow you to share the cremated remains of your loved one. Engraving and appliqués turn an urn into a permanent, personal memorial. We offer a variety of choices to help you create a unique and meaningful tribute to a loved one.